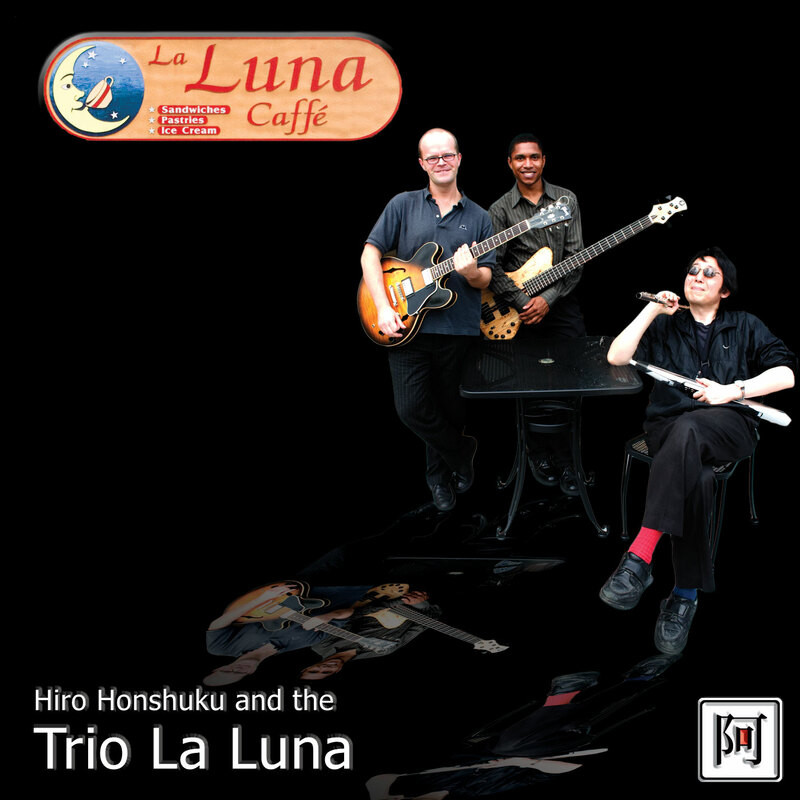 This CD marks the debut of Hiro Honshuku's Trio La Luna. The three Boston based musicians—Honshuku on flute and EWI, Casper Gyldensøe on guitar, and Alex Raymond Busby Smith on bass, sound as if they've been playing together for a considerably longer time than the nine months of their association. 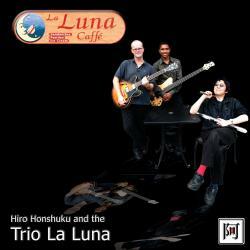 This CD was recorded live in the studio; the intuitive interplay among these three superb musicians is remarkable. An overarching ensemble feeling is evident throughout the music, even though the group had never before performed some of the tunes. All except 3 of the eleven tracks are Honshuku's original compositions. A graduate of the New England Conservatory of Music in Boston, Japanese born Honshuku studied with George Russell and Dave Holland, and his music is informed by these two master musicians, while having its own unique voice. Howdy Dokey is quirky and playful, with unexpected shifts in mood and tempo. His lyrical sense and virtuoso flute abilities shine in PF Suite and Positive Lake; both have marvelous melodic lines and linear excursions. The playful Hizzy the Cow turns and swirls in unexpected places. The Reed is a haunting tone poem, with beautiful soloing by Gyldensøe. Honshuku's salute to Miles Davis is a re-working of Blue in Green by pianist and Davis collaborator Bill Evans, taking it from soulful ballad to new harmonic and rhythmic possibilities, assisted ably by Busby Smith and Gyldensøe. His sampling on the EWI is particularly effective on Wayne Shorter's ESP. The Crane begins tentatively, creating a carefully measured sensibility. Busby Smith's propulsive bass line throughout all the compositions is masterful. Busby Smith’s Eleven 407 is a romp with intriguing lines between the two guitarists and Honshuku's high energy flute. The Trio is exquisitely balanced; they listen to one another. Busby Smith's sensitive support on bass, Gyldensøe's wonderful guitar work, and Honshuku's evocative flute have created a compelling musical interlude. This music is uplifting, engaging, accessible, often joyful, and it swings. I loved hearing it. Director, Concept Contemporary Arts, Inc.